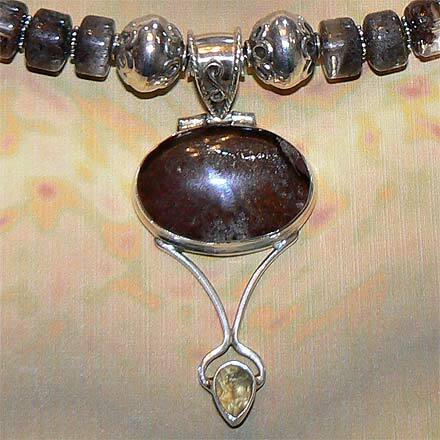 Sterling Silver Lodolite Quartz and Citrine Necklace. See Closeup. 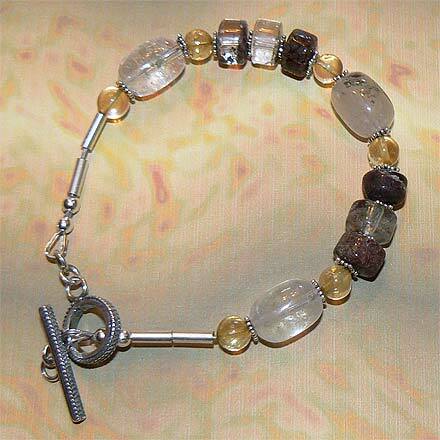 Sterling Silver Lodolite Quartz and Citrine Bracelet. 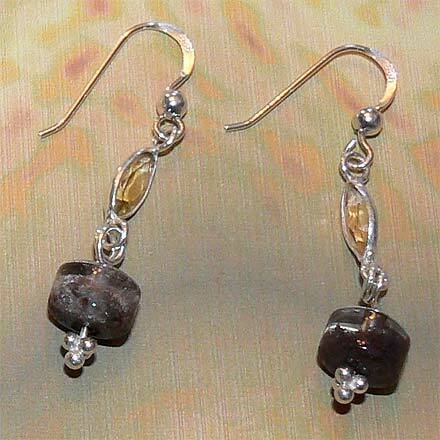 Sterling Silver Lodolite Quartz and Citrine Earrings. Lodolite is a variety of quartz with inclusions of chlorite, iron and calcite. It reminds me of glass paperweights covering a fascinating mystery world of sand on the bottom. This mysterious world is these mineral inclusions, and the "glass" is the quartz. Another way to describe it is looking at a tidepool through water. 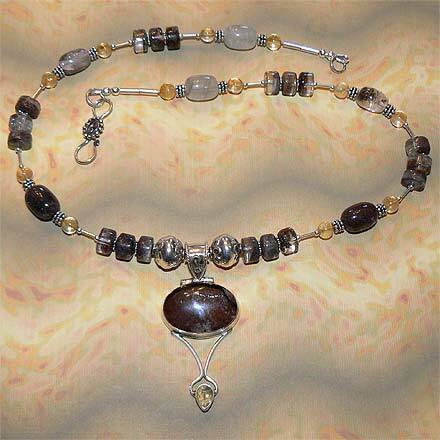 It is hard to capture the unique qualities of the pendant and beads with photography; Lodolite has to be experienced...it never disappoints.